It is time to sit back and learn more about PlayStation Classics again. Now, until this installment, we have gone over games that are pretty great and aged well. But not every game holds up! That doesn’t make them bad, per se. It just means they might not be as much fun to look at again. They can be dated or have frustrating gameplay. Still, these titles can be educational glimpses into a developer’s past. 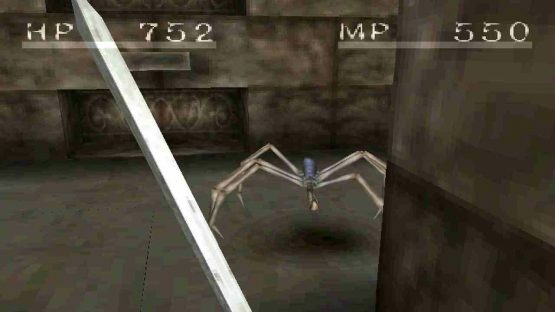 This is why we are looking at the PSOne Classic Shadow Tower. This is one of FromSoftware’s first games, and a title most people may forget. But don’t worry. We’re going to jog your memory. Ruus Hardy is not having a good day. When he comes to Zeptar, the city where the woman who raised him lives, he finds everything has gone wrong. Demons have taken over, pulling everything into the Underworld. Ruus has to venture into the tower to fight the monsters and seven lords, so he can reach a sealed room and set everything right. I mean, you have to make frequent trips. You don’t level in a traditional fashion in Shadow Tower. It is more like Final Fantasy II or the SaGa games, where performing actions improves stats related to them. If you attack a lot with your sword, your strength will increase. Taking hits will eventually increase your defense and make you better at taking hits. You might also find Soul Pods from monsters, which allow you to expend one to boost a stat, but much of it involves learning by doing. As a King’s Field successor, Shadow Tower has a lot in common with those games. It is a 3D, first-person RPG that sends people into a dungeon. It has a very dark atmosphere and sends its hero out looking for a missing parental figure. There are some puzzles, and you have the ability to use physical and magical attacks. Even the UI is similar. One of the things that set it apart are the fact that it doesn’t have any music while you play. It instead relies upon ambient noises and voice acting to set the mood. 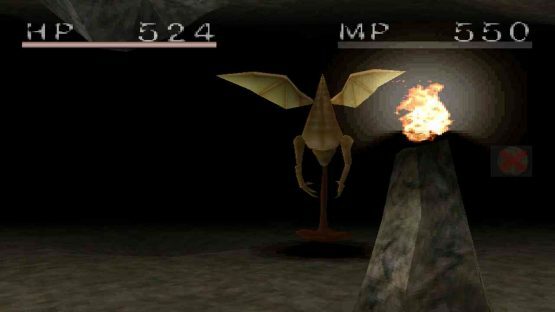 Shadow Tower also uses a lot of practical gameplay features to help determine its difficulty. The tower is shrouded in darkness, so you have to find potions, torches, and even special equipment to see where you are going. But then, equipment can fail you. It can wear down and break if you aren’t taking care of it. When you notice something is wearing down, you have to sacrifice some of your health to fix things again. However, since you only heal through certain actions or items, like potions, you have to think if each fix is worth it. But then, even the availability of weapons will make you think. After all, it is difficult to earn money and acquire them, so can you really afford to let one break? And, should you decide to take part in the two-player arena, do you really want to risk betting one of your items on a fight there? This is before even considering the huge map, which appeared at a time where you couldn’t just bring up an in-game map and reliably know where everything is. You had to keep track of things yourself. But what really matters here is the progress seen before and after Shadow Tower. We watched as the characters received more personality, thanks to the voice acting. It shows FromSoftware toying with occasionally punishing difficulty, sometimes requiring you to really think about your movements and the sorts of attacks you would use. It was amazing at setting an atmosphere, even if said ambiance doesn’t look as great in the PS4-era. We can really see how the look of the game has carried over into the Dark Souls games. (This is especially true of the various monsters you will face!) Not to mention, some of its systems regarding weapons and armor carry over into another FromSoftware game, Eternal Ring. To be honest, I feel like the messages left by NPCs on the walls of the dungeon were an early way to enable the sort of warning system we later saw in Demon’s Souls and Dark Souls. It would be easy to go ahead and go back to some recent FromSoftware game, like Dark Souls, and enjoy its challenges. 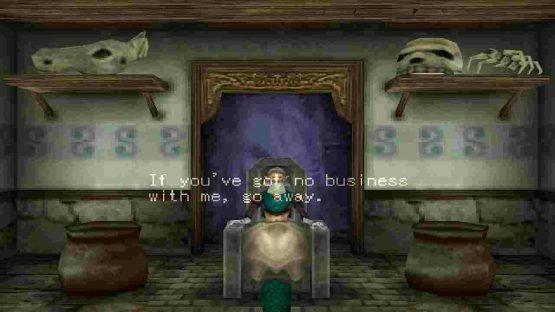 But, if you really want to appreciate where the company has been and is going, grab Shadow Tower. Try it on your PlayStation 3, PlayStation Portable, or PlayStation Vita. See how those character designs, old school mechanics, and gameplay decisions influenced additional RPGs made by the developer for the PlayStation 2, PlayStation 3, and PlayStation 4. It is currently $5.99 on the North American PlayStation Store and ¥617 on the Japanese PlayStation Store. Unfortunately, it is not available in Europe.